To aid with our new DraftKings Optimizer Tool, I will be creating a weekly lineup using the Optimizer (with some personal variations) to help members understand how the tool works as well as give non-paying members a preview of what they can get with our shiny new toy. Let’s get started. The optimizer includes a few intriguing punt plays, who are more suited for tournaments, so for the sake of this article I will be excluding the punt plays as we are looking for safer options in 50/50 play. Also, as a personal rule, I tend to lean towards wide receiver heavy lineups because of the full PPR format on DraftKings. Free points are fun and they help establish a higher floor for your picks. For this reason, I locked a specific receiver (we’ll get to him later) into my Flex to ensure my Optimizer lineup has just one tight end and two running backs with four wide receivers. Before I get to the player analysis, I would just like to mention that the lineup the computer chooses at first is not necessarily the best lineup available nor is it set in stone. The Optimizer tool allows you to play with the pieces by excluding certain players or locking certain players into your lineup. If you don’t like someone the computer churns out on the first go, just exclude them and try again. The difference in lineups is usually only separated by a few points even when you exclude certain players, so there are plenty of other options that you may prefer. As the highest scoring QB coming into Week 8, there’s a lot to like about putting him into your lineup. His projected total of 25 points, against a defense that is ranked 5th against quarterbacks, is a number that Luck has only failed to reach once (and he still put up just under 20). Though the Steelers matchup looks tough at first glance, there are some underlying circumstances leading to the Steelers’ lofty ranking. Through seven games, the Steelers have gone up against Brian Hoyer in Weeks 1 and 6, Joe Flacco in Week 2, a still injured Cam Newton in Week 3, Mike Glennon in Week 4, rookie Blake Bortles in Week 5 and Ryan Fitzpatrick in Week 7. None of these quarterbacks (with the exception of a 100% healthy Cam) is anywhere close to the level of Andrew Luck. Luck will keep rolling in this “tough” matchup. Coming off a putrid week against the lowly Jaguars, Ben Tate gets a shot at redemption against and even more terrible Raiders rush defense. The Raiders have given up the 3rd most points to running backs on DraftKings so far this year and Tate had been running extremely well until last week. The loss of Alex Mack certainly limits his upside, but not many running backs are guaranteed to touch the ball about 20 times in a glorious matchup for such a bargain price. 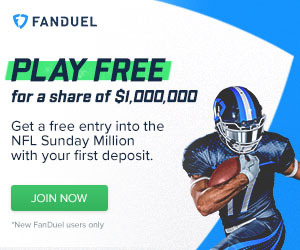 If he hits his projection of around 14 points, his points per dollar multiplier (Fantasy Points per $1000 spent) will be over 3, which is very wise spending that allows you to save money elsewhere. McKinnon has had two straight weeks of 14+ points since being given the starting role. In those two weeks, McKinnon faced two stout rush defenses in the Lions and the Bills and now he gets the lowly Buccaneers who give up the 4th most points to running backs so far this season. I’m expecting an explosion as the chains have finally come off this freakish athlete. Like Tate, if he hits his projected total of just under 15 points, his points per dollar will be above three and has upside for much, much more. As Rodgers’ favorite target this year, White Lightning has averaged over 23 points per week so far this year and gets a Saints secondary that has given up the 2nd most points to wideouts this season. Playing in New Orleans, the Saints offense will show up and if the Packers want to win, or at least keep up with the Saints, Rodgers will need to target Jordy heavily. Jordy is projected to put up 21.6 points this week, but could easily top that in a shootout of this magnitude. At this price, there is absolutely no reason to keep Dez off your roster and is a must play in my opinion. He has been nearly unstoppable recently and put up 27 points last week without even getting in the endzone. The Redskins are surprisingly decent against the run (not that it will stop the DeMarco train) and I think Romo will look to Dez early and often in this one to make a statement against a division rival at home. He could easily top his projected total of 18 points without even getting into the endzone, but I’m sure he will just for good measure. Due to the Carson Palmer’s injured nerve earlier in the season, Michael Floyd was unable to establish any type of consistency early in the year and it has caused his price to plummet. In the two weeks since Palmer has been back, Floyd has been an integral part of Palmer’s plans through the air and has caught a touchdown in each game. In a game that has the makings of a shootout, Palmer will need to target his best deep threat as much as possible to improve to 6-1. His upside is astronomical and he could easily outperform his projected total of just under 15 points. I suppose the Optimizer agrees with my “Thank You DraftKings for Free Money” play this week. There are a ton of reasons why I like this pick. For starters, Ertz had a great game before the bye, going for 3/47 and a score. It could have been much more if the Giants had put up any sort of a fight, but 13.7 points on just first half production is more than enough. Second, his price somehow went DOWN to $3200 after that performance and it just screams bargain. Lastly, he goes up against a Cardinals defense that bleeds points to the tight end going back to last year. They are currently the 6th worst defense against the tight end, but that is in large part due to playing a Vernon Davis-less 49ers team in Week 3 and the Raiders in Week 7 who do not utilize Mychal Rivera seemingly ever. Ertz will find space in the middle all game long and his low projection of 9.5 points is a worst case floor in my opinion. If the Eagles take advantage of this matchup like they should, Ertz could easily put up 6+ catches for 100+ yards and a score. Like Ertz, Maclin saw his price drop on DraftKings, but this situation was based on not seeing much of the ball in that same blowout against the Giants. Maclin was targeted just three times and caught two of them for just 16 yards. That stat line has nothing to do with his ability, they just didn’t need to use him. Before that game, Maclin had seen no less than 10 targets in any game all season. Foles will get back on track with Maclin this week against the Cardinals who surprisingly give up the 3rd most points to wide receivers despite having such a good defense and a 5-1 record. His projection of about 16 points is easily attainable if the targets go back to normal levels and his upside is much higher. Not much to say about this. The Dolphins play the Jaguars who have been a streamer’s dream opponent so far this year. Safe pick that essentially guarantees double-digits from your DEF slot. The projection for this lineup in my opinion is simply a floor and is a tremendous 50/50 play this week. There are proven studs galore in this lineup and there is more than enough upside to be a solid tournament play if everything goes right. When the values are this good in a week on DraftKings, it is in your best interest to take advantage and make yourself some money.